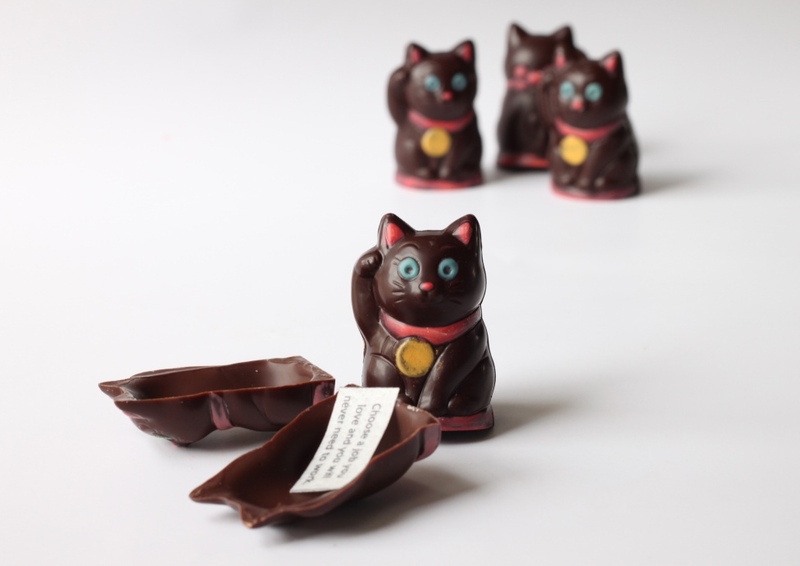 Nine handpainted lucky dark chocolate cats, each containing an edible printed fortune hidden inside. 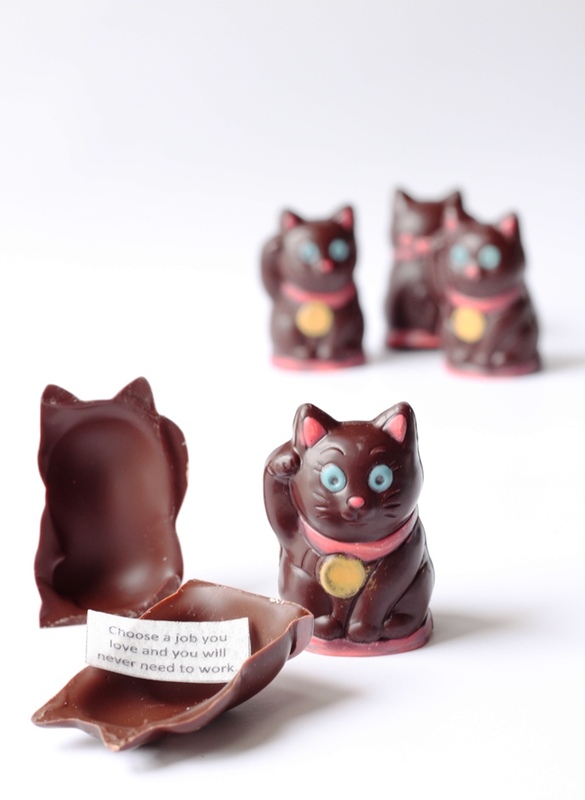 These adorable little kitties make great wedding favours, and the message inside can be personalised. 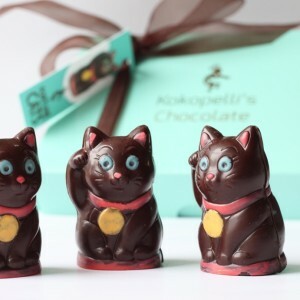 Please get in touch to discuss options with us. 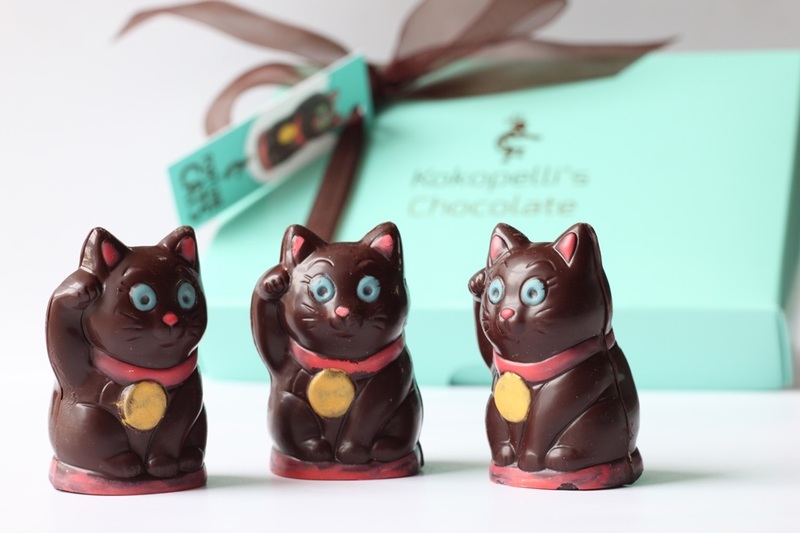 Design may vary slightly – each one is painstakingly painted by hand, so each cat is unique! 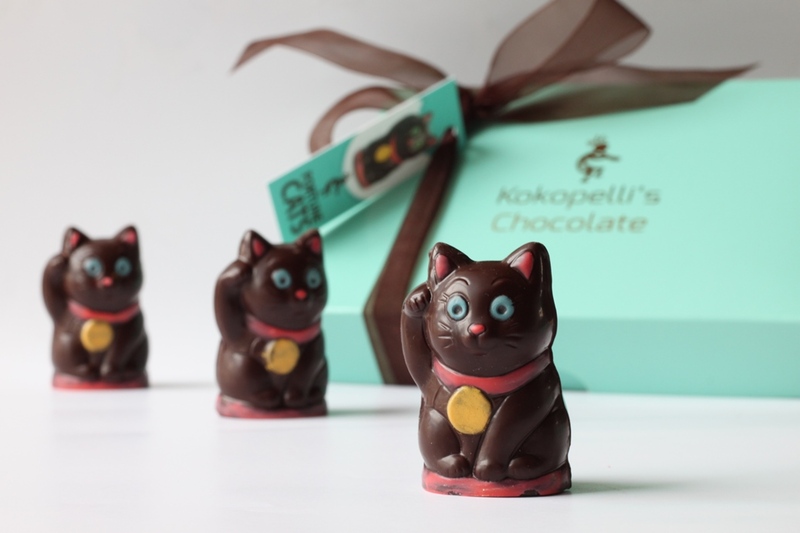 Your cats will be dispatched within 1-3 days of receiving your order, sent by 1st class recorded delivery.